If you’re a fan of comedy, odds are you’ve heard of New York City. Well, if you’re a human on planet earth you’ve probably heard of New York City, BUT this fact doesn’t make the theme of this blog as clear. By your probable reaction of “oof” to that mediocre joke, you might have guessed that – yes – the next page or two is dedicated to comedy! More specifically, comedy in New York City. I would argue that New York City is one of two major comedy hubs in the United States – the other one being the Second City, AKA Chicago. *First epic comedy spot entails spotting Billy Eichner of Billy on the Street on the streets of New York. Fun fact: I have done this, but I ran away because I was shell-shocked. Odds are you’ve heard of Saturday Night Live. And if you’re looking for a hot ticket in comedy – and I mean hot ticket – this is right up your alley. 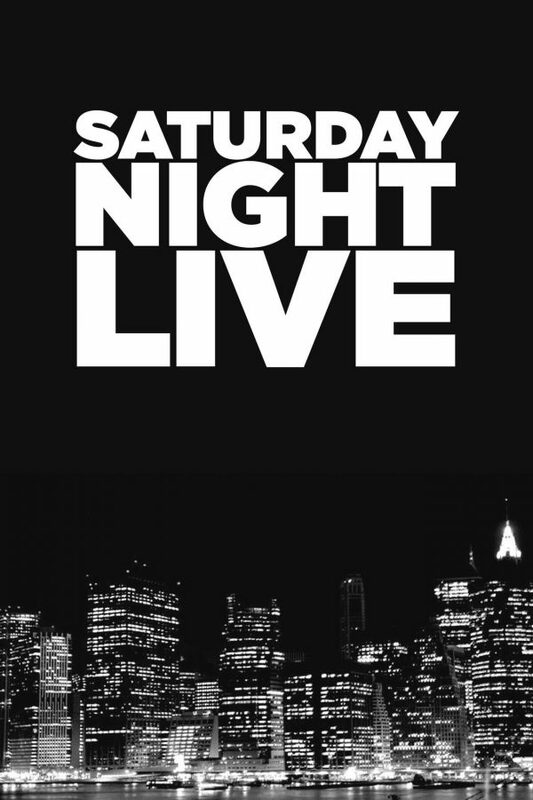 In fact, tickets to SNL are such a hot commodity that scoring one is like winning the lottery. You have to literally win their lottery to get any sort of advanced ticket. How do you enter? Mark your calendars! Every August you have the chance to submit an email with your information explaining why you should be an audience member. There is, however, another option. You can try your hand at stand-by tickets. Each Saturday morning before taping you can line up outside of Rockefeller Center to take a swing at scoring a stand-by ticket to the 8pm Dress Rehearsal or the 11:30pm Live Show. The tickets are distributed one per person at 7:00am – so be sure to line up well before then! Now let’s get to some shows you can actually book in advance! The Comedy Cellar is a small, cramped comedy club in the basement of a building on Macdougal Street in Greenwich Village. Sounds great, right? But it’s so much more than that. It is an icon and staple in the comedy world and a place where many famous comedians – new and old – have honed – and continue to hone – their craft. It was founded in 1982 by writer and comedian Bill Grundfest with the goal of opening a sort of playground for comedians. It was to be a place where comics have the chance to explore and to fail – both necessities in the creation of good comedy. For example, Grundfest has mentioned that Jon Stewart “bombed for six months” when first performing at the Comedy Cellar. And look at Jon now. Jon Stewart isn’t the only person you might’ve heard of that has performed here. Excuse me while I name drop: Colin Quinn, Jerry Seinfeld, Ray Romano, Mike Birbilgia, Nikki Glaser, Dave Attell, Marc Maron, Chris Rock, Judy Gold, Michelle Wolf, Sarah Silverman, and so on have graced the stage of the Comedy Cellar. They have multiple shows every night with 5-7 comics having around 20 minute sets – and don’t be surprised if one of your favorites drops in for a surprise set. Give them a call or check online to make a reservation! *For any comedy historians and lovers, right next door to the Cellar is Café Wha, a popular club in the 60s where some comedy legends you might have heard of – Lenny Bruce, Joan Rivers, Richard Pryor – have performed. Check out both of these iconic spaces on our Greenwich Village Tour! If you’re visiting New York, odds are you’ll stop by Times Square. (Aren’t you loving this “odds are” motif?) And while you’re there, you should check out another one of New York’s best stand-up nightclubs – Caroline’s on Broadway. It’s literally on Broadway between 49th and 50th. This club also originally opened in 1982, but this time by Caroline Hirsch (we see where the name comes from). Some legendary comics have performed at this venue, including Jerry Seinfeld, Tim Allen, Billy Crystal, Rosie O’Donnell, Jay Leno, Tracy Morgan, Kathy Griffin, and so on. Having multiple shows seven nights a week, you’re sure to strike gold if you book a show at Caroline’s. You can even say you saw a show on Broadway to your theater friends and you technically wouldn’t be lying. If you’re in the mood for a show where a couple of wacky people get a random suggestion and completely make up scenes right in front of you then improvisational comedy is the right option for you. And the best of best of improv comedy in NYC – or at least the most well known – is the Upright Citizens Brigade (UCB). UCB was originally an improv and sketch group born in Chicago in 1990 – they arrived in New York and opened a theater by 1999. Founders Amy Poehler (Queen), Matt Besser, Matt Walsh, and Ian Roberts probably didn’t know then, but their small theater would go on to flourish into a phenomena and powerhouse in the comedy scene. If you don’t believe me, go stand in line for one of their most popular shows or try to book a spot in one of their 101 classes without following their twitter to receive notifications at the exact moment when a class opens up. The institution now has three New York locations – and two in LA – giving you all the more opportunity to catch a hilarious show. My favorite is the trademark ASSSSCAT 3000 every Sunday 7:30pm and 9:30pm at UCB Hell’s Kitchen which often features a surprise celeb monologist – AND the 9:30pm show is FREE (!!!!) if you’re willing to wait in line a bit. Check out their site for schedules and for your chance to learn improv! There’s more?! Yes… But you’ll just have to see for yourself. Top Dog Tours NYC, is a local tour guide company offering walking tours in New York City.